Rinse & pat dry Salmon, place in a baking dish (skin side down), do not let fillets touch. 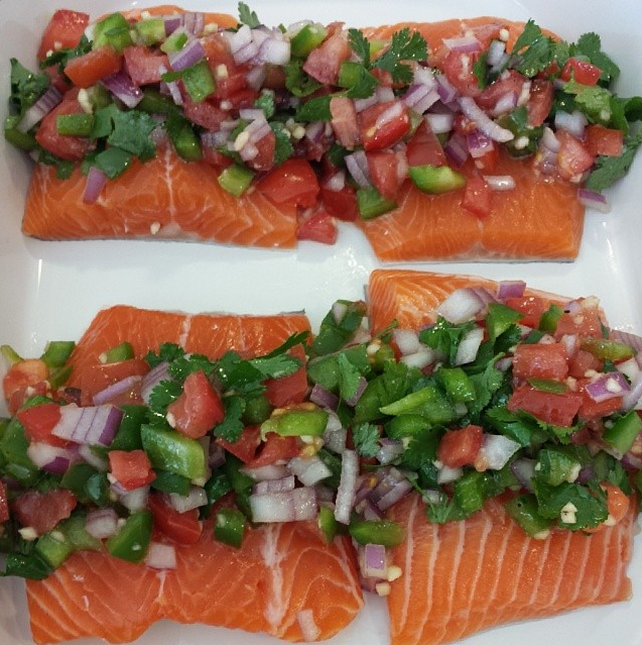 Spoon the fiesta mixture over the top of each piece of salmon. Fiesta Salmon Fillets are going in the oven! 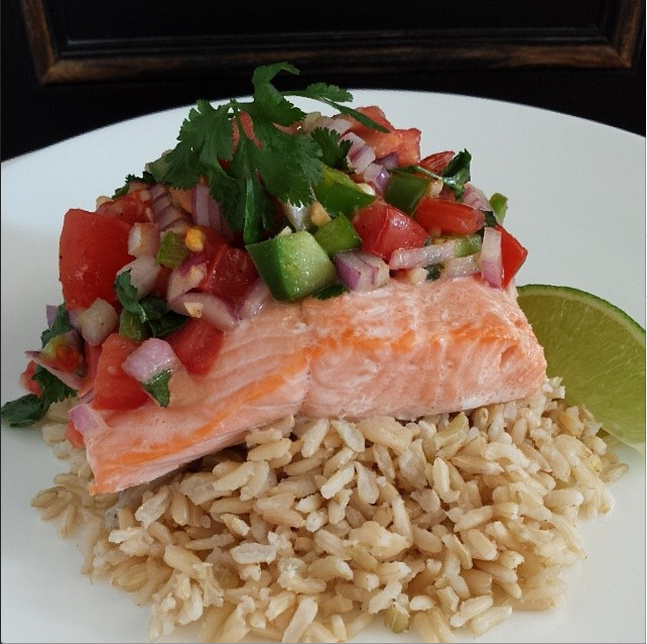 Serve with brown rice, and lime wedges.